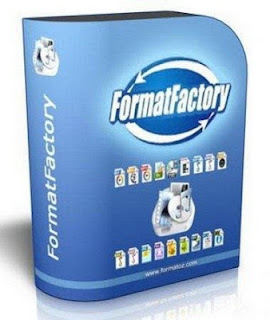 Format factory Adalah Software Multi fungsi untuk mengubah format Video. 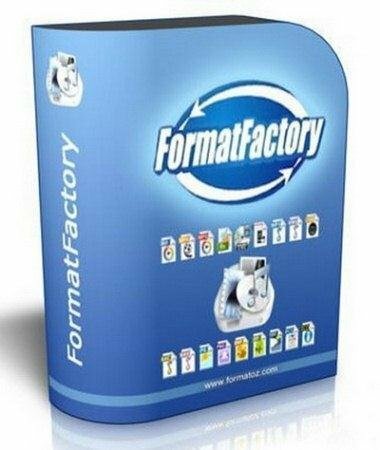 Format Factory is a free, excellent conversion tool for anyone who converts between video, audio and images on a regular basis. format Factory supports the most popular video formats (MP4, 3GP, WMV, AVI, MPG, FLV, SWF), audio formats (AMR, MP3, WMA, AAC, AC3, WAV, OGG), image formats (JPG, PNG, GIF, BMP, TIF, ICO, TFA) and many more. It also supports media formats used by most major portable devices, including PSP, Blackberry, iPad, iPod and iPhone. The software is easy to use and has a slightly unintuitive interface. You can select individual files to convert, or complete folders, and also tweak some basic conversion settings. Format Factory file browser appears after you select the target format. Included Picture converter supports Zoom, Rotate, Flip, tags.